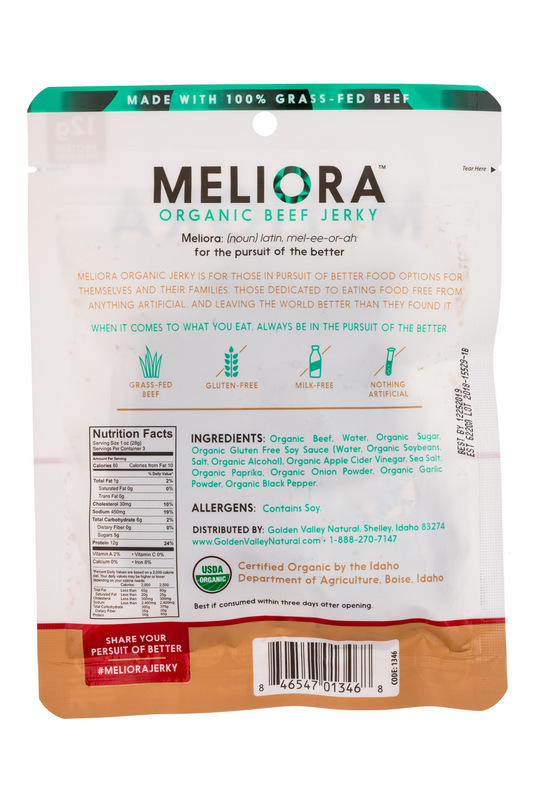 OUR MISSION: We believe that just because it's organic doesn't mean it has to be bland. 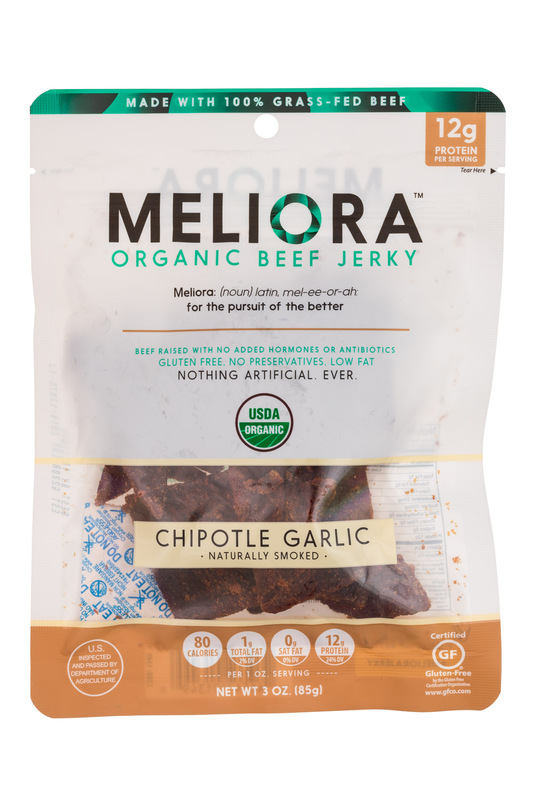 Our mission is to give our customers a better snacking option. 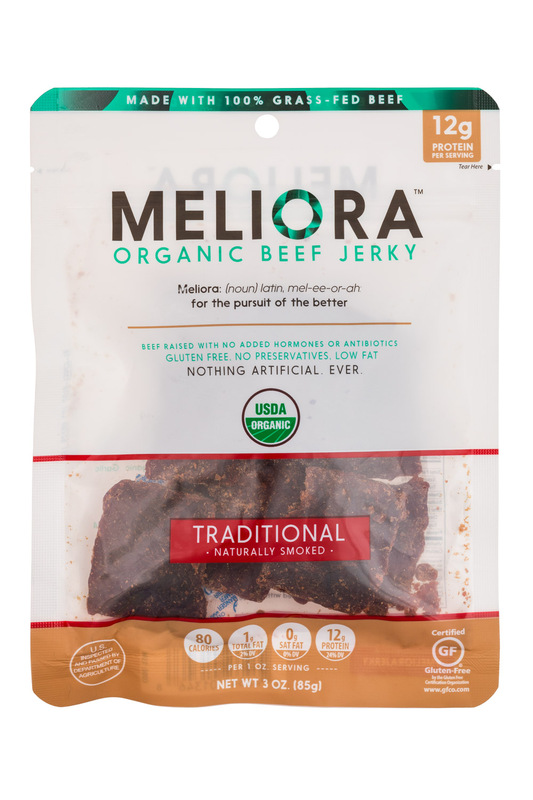 A clean, organic, yet flavorful jerky. 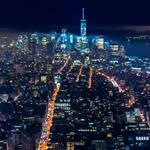 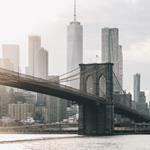 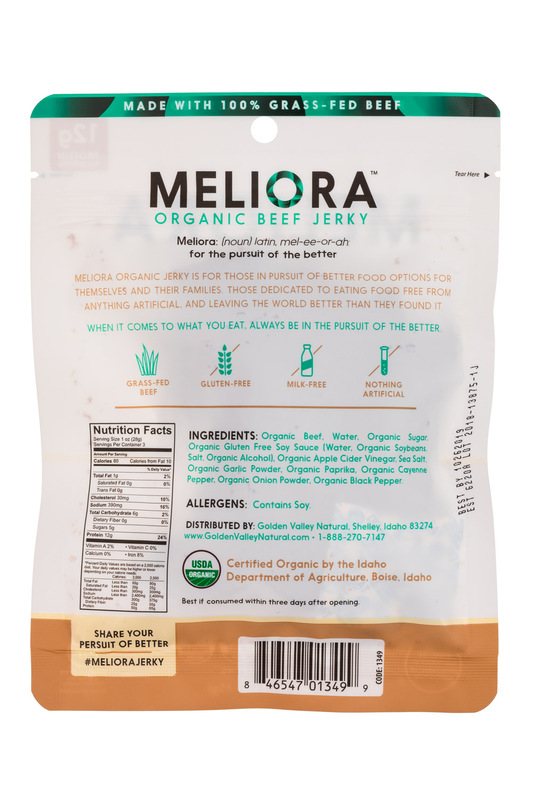 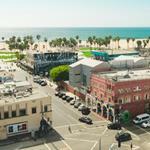 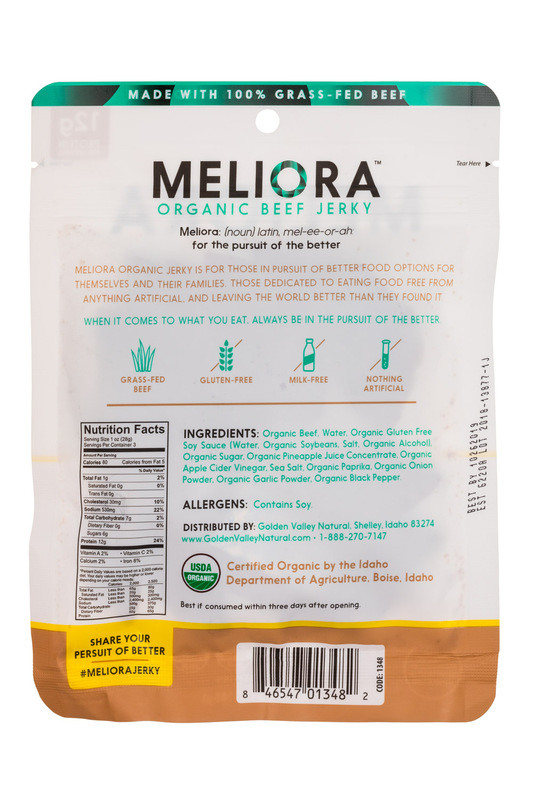 WHY MELIORA: Meliora™ Organic Jerky is for those in pursuit of better food options for themselves and their families. 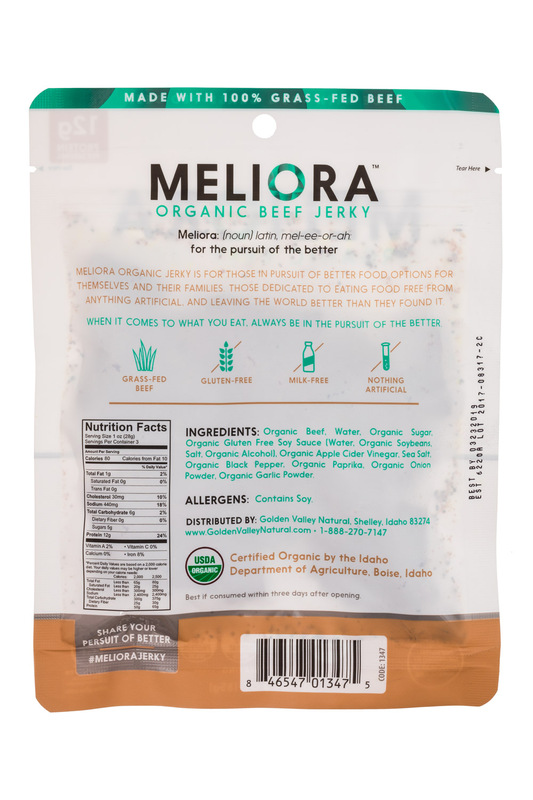 Those dedicated to eating food free from anything artificial, and leaving the world better than they found it. 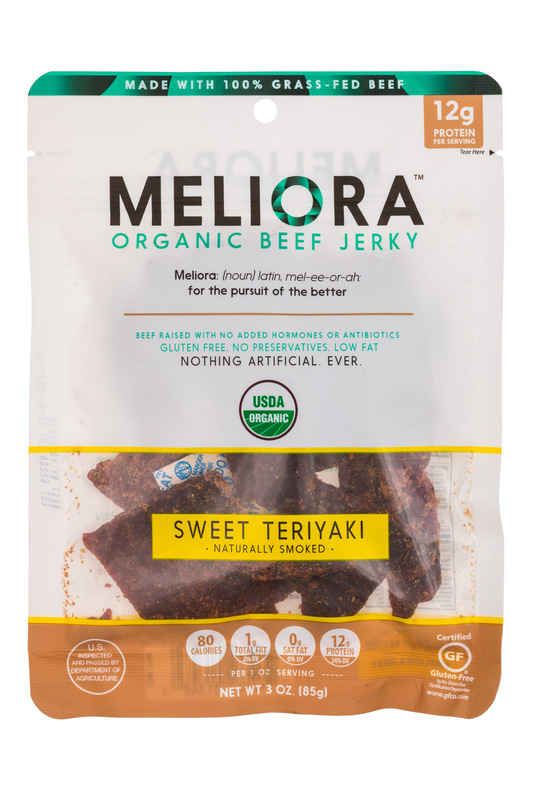 If you're like us, you scour the shelves in the grocery store hoping to find better snack and food options fo you, and your family. 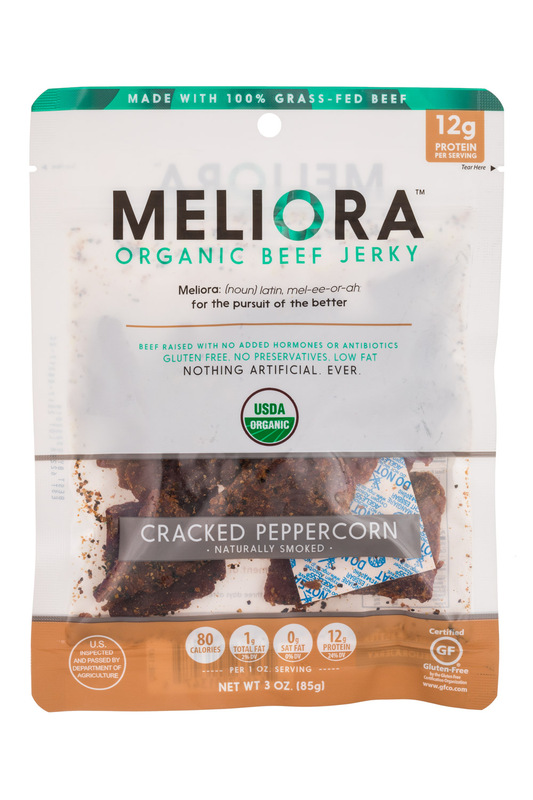 Meliora is that better cleaner snack you're pursuing.